Kentucky Derby is a week from today and I wanted to share a recipe focused on the Derby. 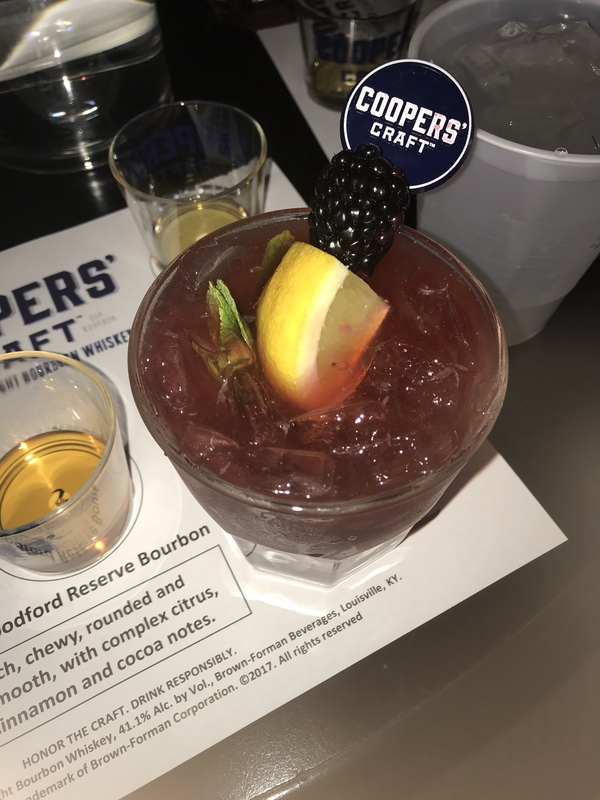 A few months ago I had the pleasure of going to a whiskey tasting sponsored by Coopers Craft and it was so much fun!! We even had the opportunity to mix up some drinks and learn some great history about whiskey. Muddle 3 black berries with simple syrup in a shaker. Add whiskey, lemon juice, and ice. Shake hard double strain into ice and top with ginger ale. Garnish with Mint and black berries.